Many of my writing friends are coming out with books! It’s a joy to introduce them to you and as we celebrate through the Interview Series. 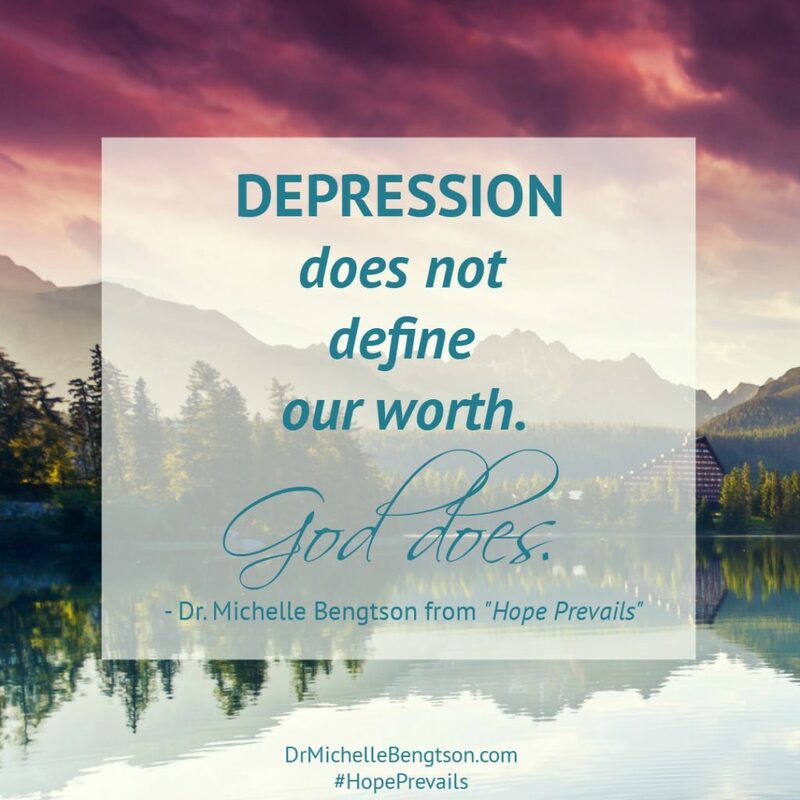 Let’s give a warm welcome to the lovely Dr. Michelle Bengtson as she talks about her book, Hope Prevails: Insights from a Doctor’s Personal Journey through Depression. By 2020, depression will be our greatest epidemic worldwide, but whether it is world hunger, cancer, or any other catastrophic event, those difficulties and hardships never quite have the same impact on our heart as they do when we go through them ourselves. The same was true for me when I went through depression. As a neuropsychologist, I had been diagnosing and treating patients with depression for over 20 years. I had great empathy and compassion for their suffering when God called me to write a book about overcoming depression. But then He revealed that there were too many books already written from a doctor’s perspective and I needed to share my own story—which meant that I would first have to experience depression in order to have a story. Little did I know I would go through one of the most difficult times in my life. Going through the valley of depression, I tried all the treatment recommendations I had been suggesting for years to my patients, only to find out that while they helped, they weren’t enough. This led to the inevitable question, “Why?” And “What is the missing piece? What is the answer?” What God then showed me in the journey through my own valley of depression was that as long as we treated physical or mental disease but didn’t address the spiritual component, we were really only putting a band aid on the issue, and we could never really expect real healing to come. Once I started applying God’s truth to my situation, freedom came, and I knew I had to share what I had learned, both from the perspective of the doctor who treats patients, but also as a fellow sojourner. What is one lesson that you hope readers will walk away with after reading Hope Prevails? If you will allow me the liberty of sharing two lessons: 1) Our feelings cannot be trusted but God can. 2) In our darkest days in the valley, because of Him, there is still always hope. What has been one of the hardest things about holding onto hope in your own life? Our feelings are the outward manifestation of the thoughts we believe, and when our thoughts do not line up with God’s truth because we have unknowingly believed a lie, then our feelings will lead us astray and away from the hope that God offers. That is why we must take every, every, every thought captive and make sure that it lines up with God’s truth. When we do that, hope does prevail! What is your favorite bible verse about hope and why? Without a doubt, my favorite verse about hope is Jeremiah 29:11 “For I know the plans I have for you, declares the Lord. Plans to prosper you, and not to harm you, plans for a future and a hope!” I have held on to this verse for nearly three decades through moves, through cancer, through miscarriages, through the MOST uncertain of times. It has lent me such hope and comfort because even when I cannot see a way, even when I do not know how things will get better, I can put my trust in my unfailing God who does know the way, who does see the finish line. HE knows the plans He has for me, and He promises that those plans are good. It gives me such peace despite the chaos of my circumstances! What is one of your favorite lines from Hope Prevails? Honestly, there is no way I can choose just one. It would be hard to choose even one per page. As I re-read the book as a reader and not the author, I get inspired as I hear the words God speaks to my heart to encourage me, and it’s my prayer that He does the same thing for everyone who reads it. If you were sitting across from a woman who is struggling physically, mentally, and spiritually right now, what would you say to her? I’ve been there. The reason for our struggle may not be the same, but I’ve been in the place where I wasn’t sure I wanted to go on. I’ve been in the place where I wasn’t sure I could. I’ve been in the place where all I could whisper in my prayers was a feeble, “Help.” But what I learned through that time was that God always meets us there in our desperation. And truly, it is in our weakest times that we get to see Him do His greatest work. And there is NO shame in admitting we need help. The Bible even encourages us to ask for help when it says, “Call to Me and I will answer you, and I will tell you great and mighty things, which you do not know” (Jeremiah 33:3). And to “Give all your worries and cares to God, for he cares about you” (1 Peter 5:7). What has been one of the most challenging aspects about writing this book? Hope Prevails really draws attention to the spiritual aspect of depression and how the enemy of our soul seeks to steal our joy, kill our peace, and destroy our identity, and in the book I share how we combat the enemy’s attacks to take back the joy that Christ died so that we could have. I can promise you that the enemy has NOT been pleased about the writing of this book, so the most challenging aspect of writing this book has been the near constant attack from the enemy that my family and I have endured in seeing this project to publication. I’ve said many times that when you write a book, your conviction to your message will be tested. But as long as I have breath, I will declare that Hope Prevails! What has been one of the most rewarding? Without a doubt I can say that the most rewarding part of writing this book has been hearing from readers that it has helped them experience freedom from the chains of depression that have kept them locked up in despair for so many years. It’s time that we say “No more!” to the rule and reign of the enemy’s influence in our lives and stop it in our generation so that our children and our children’s children will not have to suffer! Thanks you Dr. Michelle! We’re thankful you were here today to share this needed message of hope. 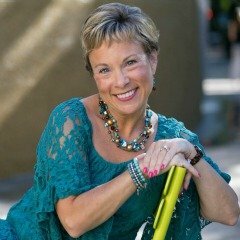 Dr. Michelle Bengtson (PhD, Nova Southeastern University) has been a neuropsychologist for twenty years. She interned at the University of Oklahoma with “The Father of Neuropsychology,” Dr. Oscar “Oz” Parsons, and completed postdoctoral training at both the Henry Ford Hospital in Detroit, Michigan, and the University of Alabama Health Sciences Center in Birmingham, Alabama. She lives in Dallas/Fort Worth with her husband, their two sons, and two dogs. Learn more at www.drmichellebengtson.com. 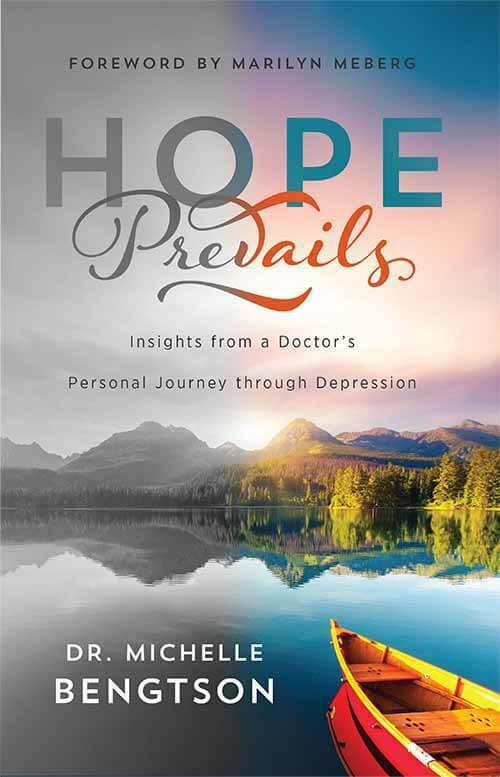 Dr. Bengtson’s book “Hope Prevails: Insights from a Doctor’s Personal Journey Through Depression” (Revell publishers, August 2016) is available for purchase now. 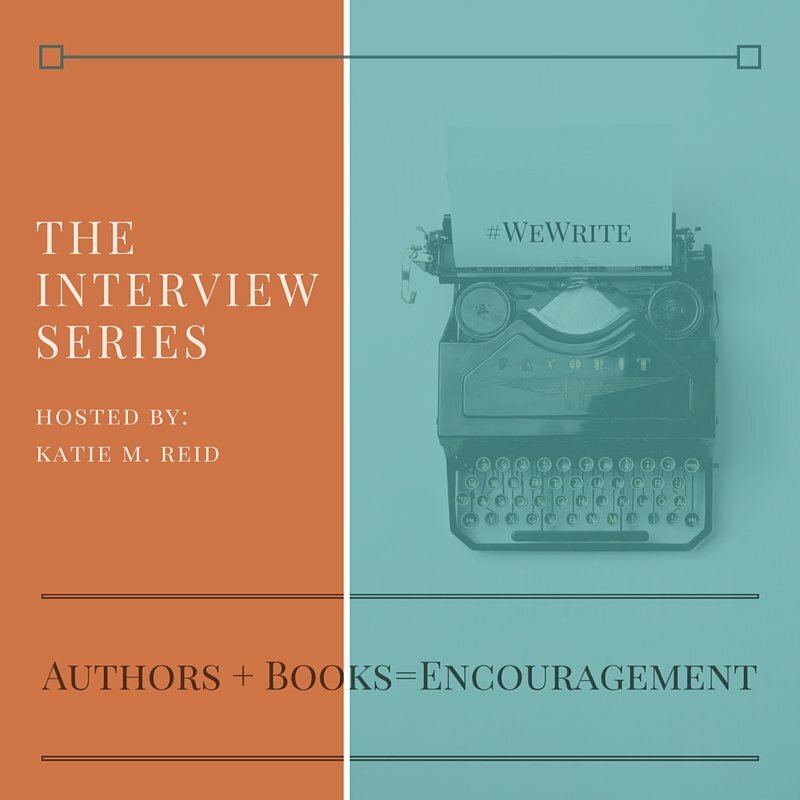 Read the rest of the Interview Series over on the #WeWrite Community page. How have you found hope in hard times? P.S. Join us over at the #RaRalinkup for more encouragement. Katie, thanks for sharing some of Michelle’s story with us! I love that quote that “depression does not define us.” Neither do the myriad of other things the devil likes to throw our way. We are who He says we are! Thanks for the reminder. Blessings!